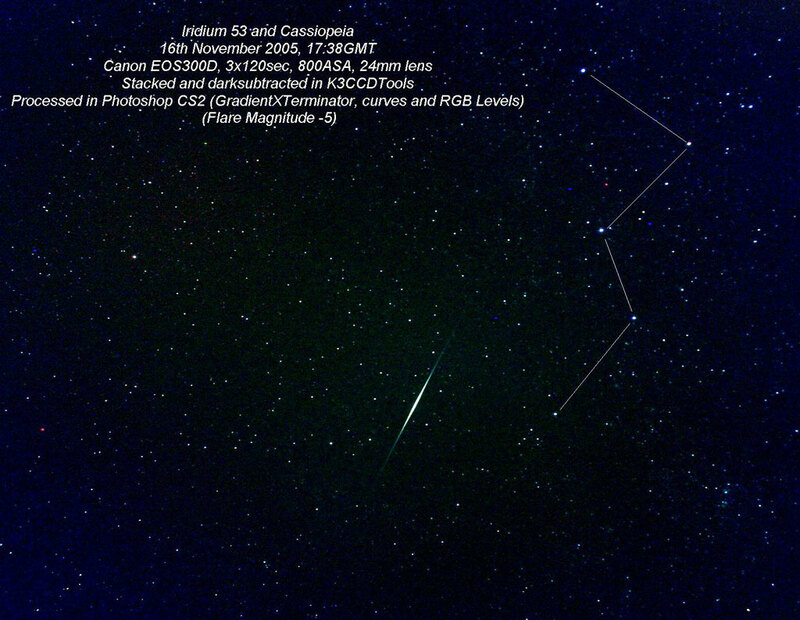 An Iridium 53 flare imaged by Chris Newsome on the 16th November 2005. 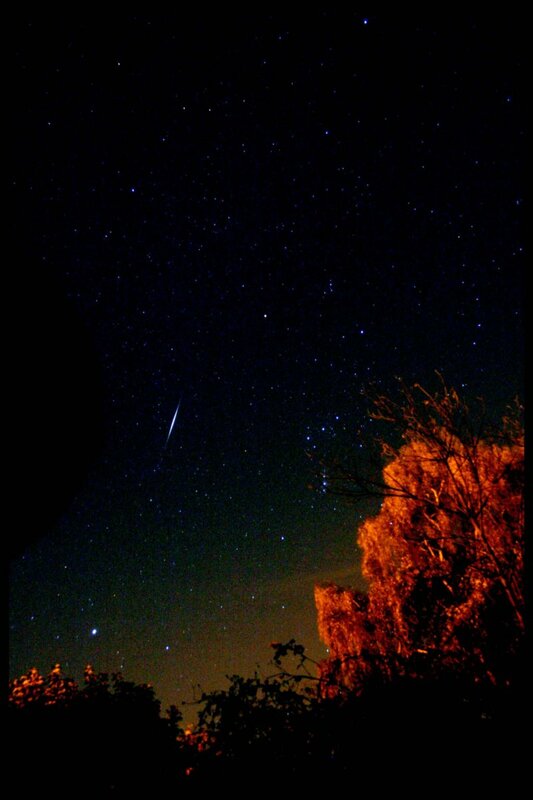 An Iridium 7 satellite flare, imaged on the morning of 5th November 2005 (04:35UT) at Derby, by Chris Newsome. Chris comments: "This was a mag -8 flare, the central track being approximately 1.6 km to the east of my observing site on the (south-east side of Derby). The azimuth was 199 degrees, the altitude was 34 degrees. It was imaged on a Canon EOS300D DSLR with a 22mm lens, piggybacked on a driven Celestron C6-N (CG-4 mount), a 30 second exposure at 800ASA without a light pollution filter. The raw image from the camera was converted to 16-bit TIFF, and dark subtracted in K3CCDTools V2 and processed in Photoshop CS2 (curves, RGB levels) and then converted to JPEG format. The single image was one of a set of 10 that was taken using the automated sequence in DSLRFocus but after stacking Chris found that the single frame that captured the flare gave the most interesting picture due to the heavy processing it required. The stacked image was very two dimensional, clean and flat where as the processed single image gave a lot of depth to the image from the foreground (the OTA is on the left of the image) through the middle distance (the trees on the lower section of the image, partially obscuring Orion) through to the sky at infinity. The single image also emphasised the warmth from the glow of the sodium street lights and the coldness of the sky." 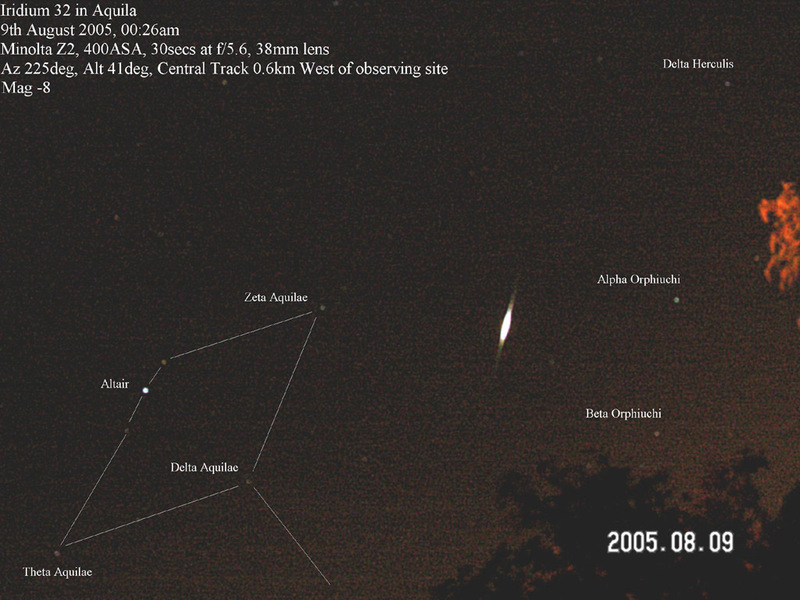 This image made Picture Of The Week on the British Astronomical Association (BAA) website on the 14th September 2005. 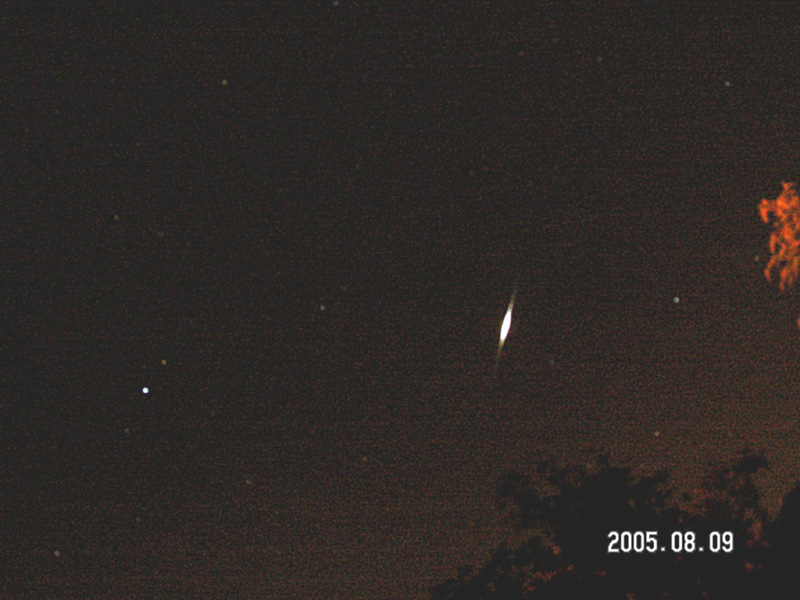 Chris Newsome took the following photograph of Iridium 32 on the 9th August 2005. The star Altair is at left. The same image is repeated with more information below. 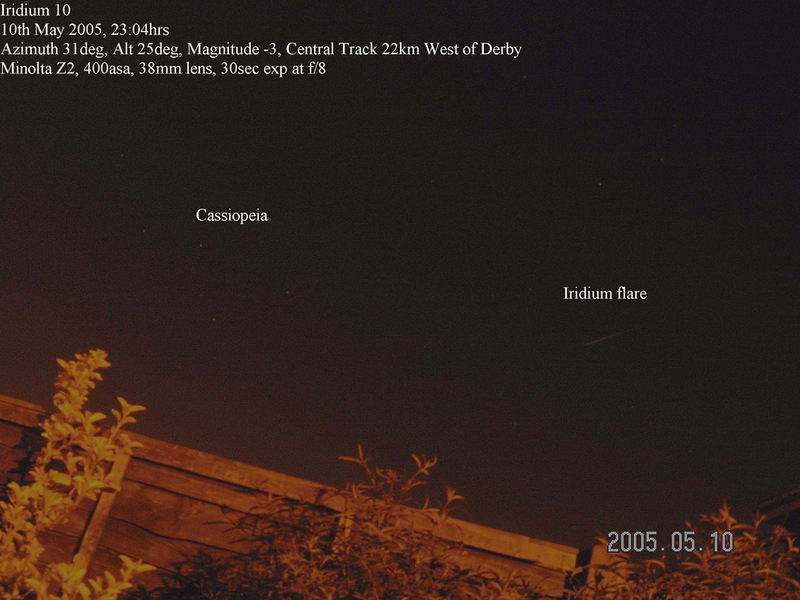 Chris Newsome captured an Iridium Flare on the 10th May 2005. Details on the image.